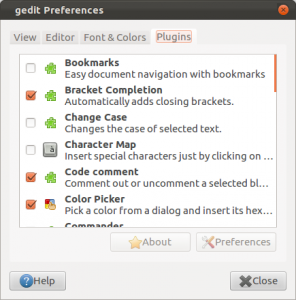 Gedit is the default text editor in Gnome based GNU/Linux distributions such as Ubuntu, Linux Mint, Fedora etc. It looks simple and it’s easy to use but it is also very powerful. 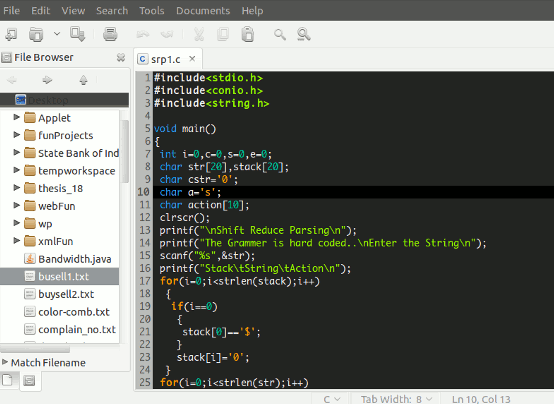 It’s not just for simple text files – you can use it as a programming editor. There are lot of cool plugins available for gedit, which makes it a very powerful text editor. In TextMate the auto completion feature allow you to auto-complete the variable names just by hitting Esc (the trigger key). It’s very handy for programmers e.g if you’re coding CSS then you can avoid typing the id and class names again and again (if already defined in corresponding HTML file) – and it also saves you from unnecessary typing errors. To get this kind of feature in gedit, you need to install a plugin – TextMate Style Auto Completion Plugin. 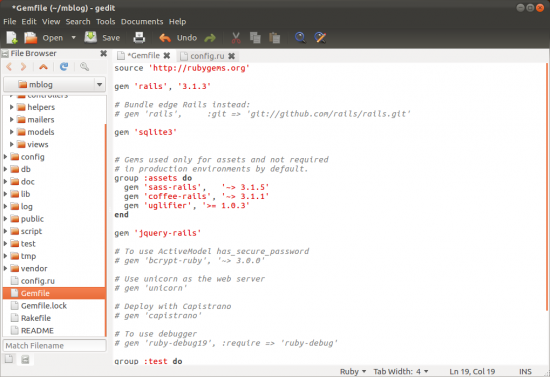 NOTE : If you are a Rails Developer then you might want to checkout the article – Gedit Plugins for Ruby On Rails. 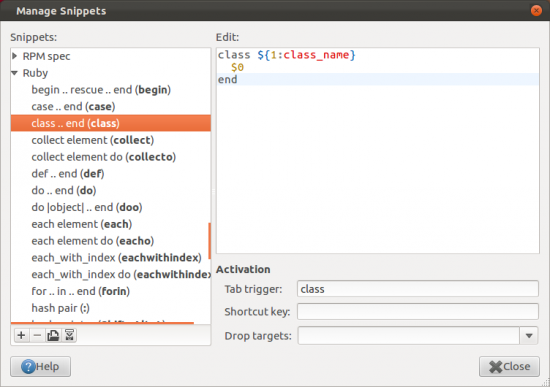 gedit is the most popular text editor on GNU/Linux distributions, specially – Ubuntu, Linux Mint, Debian, Fedora etc. gedit is very simple to use and requires no special skills to get started although learning about the features and shortcuts will eventually boost your productivity. By default, gedit is very powerful – you can edit simple text files and any source code (it will highlight the code accordingly). 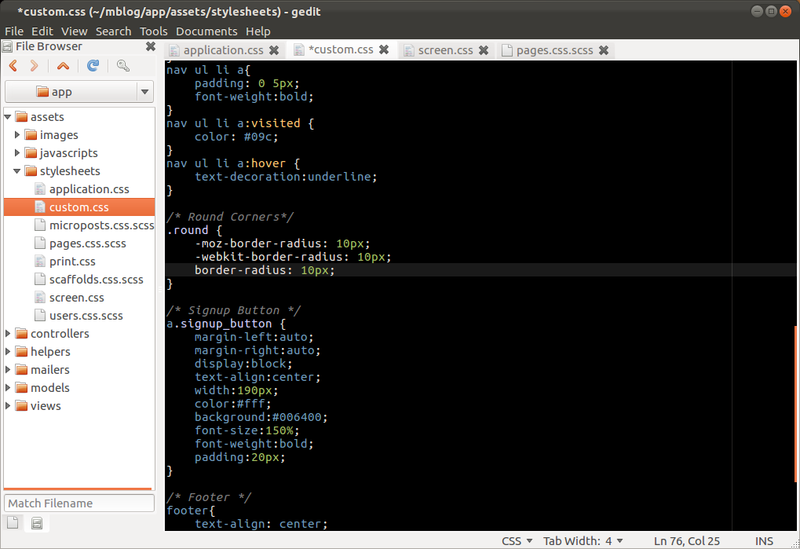 it’s fast and easy to use, that’s why most programmer prefer gedit instead of heavy bloated IDEs (such as Eclipse). Gedit comes installed by default with the GNOME based Distro. Since gedit, like any other great free software, supports plugin-approach to extend the functionality, this post is all about some cool gedit plugins that will help you in programming with gedit text editor. There are some cool plugins installed by default, so you just need to enable it from preferences => plugins. Open gedit and go to Edit -> Preferences -> Plugins and select the plugin you want to activate. Snippets: Code snippets are good for reusing code blocks at multiple places without writing it again, in fact just by typing the trigger, followed by Tab key will insert the code snippet at the cursor. For Example – if you are writing a CSS code for a web designing project, then a CSS style can be used several times in the project. There are already a lot of snippets available for use (for many programming language with intelligent Tab triggers that you can just guess after understanding the pattern) and of course you can define your own – custom snippets. You can also specify shortcuts keys if you don’t prefer to use trigger, not only that custom targets can also be specified. File Browser: That’s really very useful when you’re editing multiple files together, as it can show you the files in a hierarchy. So searching and editing files becomes easier because each time you want to open a file, you don’t need to switch the window for a File browser program such as nautilus. Bracket Completion: When you type a bracket, then it will automatically insert the closing bracket at the next cursor point. So it will help you in speed up the coding speed. 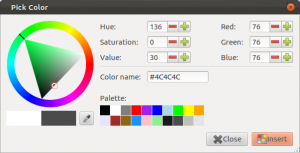 Color picker: For web developers who do a lot of CSS coding, you often need to insert hexadecimal or RGB color codes. This plugin will save your lot of time as you can get the color codes in the gedit window itself. Code Comment: During coding, it’s good practice to put some meaningful comment – this plugin will help you in making a line comment without moving the cursor as it will detect the language and make the lines comment accordingly. e.g if you are programming in ruby then it will automatically add ‘#’ in the beginning of line (just hit Ctrl+m). Session Saver: Using session saver plugin, you can bookmark the working sessions for further use. So basically, it saves a lot of time if you have lot of files opened from different directories and you want to resume the work. Charmap: It is helpful in inserting various characters that you can’t find on your keyboard. Tag List: To insert a string/tag without typing it again. Python Console: it provides an interactive python console at bottom panel, and it’s really good for running your programs quickly from the editor window, instead of opening a separate terminal/shell window. Word completion: As the name suggest, the plugin will suggest you the word while typing, by analyzing the document. Tab keystroke will complete the word as suggested. So it may help you in increasing your coding speed. 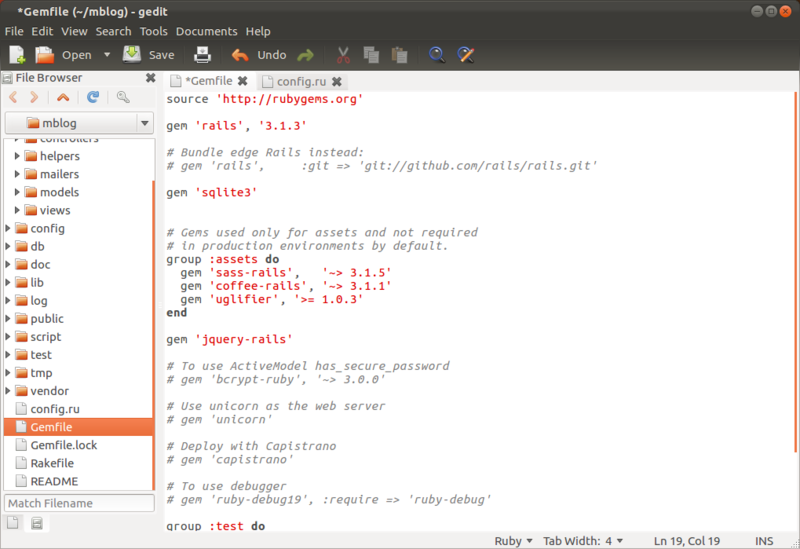 GMate is a collection for gedit plugins who uses Ruby on Rails on Ubuntu (11.10 – latest version, 12.04 is the next one). Ruby on Rails is the coolest framework for web application development, In rails, some files are having .erb extension which is called as embedded ruby in HTML. So the gedit may not be able to highlight that embedded code by default (but with Gmate plugin, you can). Most of the Rails developers prefer TextMate which is a proprietary application for Mac OS X, On Ubuntu GMate is a good alternative of TextMate. GMate will provide you a set of plugins to add some good features, lot of color schemes (30+) – specially useful for rails developers. 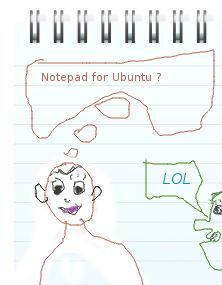 Are you looking for Notepad on Ubuntu 11.04 (Natty Narwhal) or 10.10 (Maverick Meerkat) or 10.04 (Lucid Lynx) or any Linux based system ? it seems that you are (or probably you were) a window user and searching for a text editor such as Notepad. Sorry to say – Notepad is a windows NT based application which is available for windows only, so there is no chance on Ubuntu 11.04 or whatever. But my question is “why are you searching for notepad, on Ubuntu?”, the obvious answer would be – just for creating or editing a simple text file. Oh! that’s what you want; Relax, on Ubuntu there is a text editor called – ‘gedit’ (installed by default) – one of the most powerful text editor on this planet. 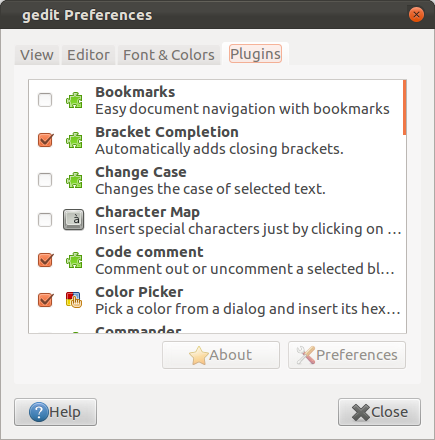 So I recommend gedit for text editing or source code editing or whatever you wanted to do with notepad – it’s there in gedit; in fact gedit is far better than the notepad (better read this post – ‘best text editor for ubuntu users‘ to understand few great features (syntax coloring, auto completion..) of gedit). But anyway, if you desperately need notepad (I don’t no why? may be just for Fun! 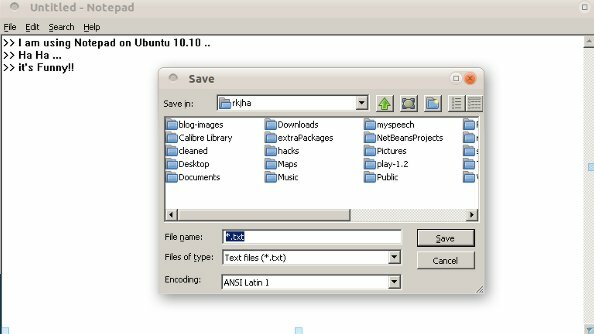 because I don’t see any rational reason behind this) on Ubuntu then you need to install ‘Wine’ a windows compatibility layer (developed using reverse engineering) which will allow you to run some windows applications on Ubuntu or Linux based distributions. Follow the reference to know more about installing wine on Ubuntu. Text Editor is one of the most basic and must required application, for every users(it doesn’t matter where they comes in – novice , intermediate or advanced category). Text Editor is basically used to create/edit simple text documents(e.g *.txt),i.e to manipulate the text without any formatting information. Windows NT based OS(e.g Windows XP,Vista or 7) comes with a default – text editor called Notepad (The worst text editor of this planet(or may be in this universe,but I’m not sure about that)). 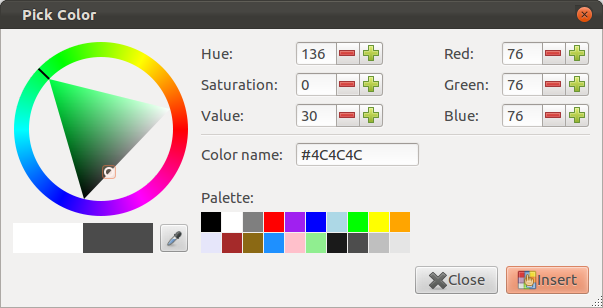 Ubuntu (10.04/10.10/11.04(Natty Narwhal)) or any other Linux based distribution also comes with some default text editor, but it depends on the distro as well as the desktop(like GNOME or KDE or LMDE or XFCE) you are using; such as- GNOME desktop package contains gedit text editor by default while the KDE desktop package has kate and so on. In GNU/Linux both type of text editors – command line and GUI, are popular. Some popular/top GUI text editors are emacs,gedit,kate etc., and the popular/awesome command line editors are Vim/vi,Nano etc. Therefore a lot of text editors are available for Ubuntu, So you might be thinking – “what text editor I should use ?”, “what editor is best for programming/coding?”, “Is there any TextMate(The most popular code editor for Mac OS X) like editor is available for Ubuntu?”. Relax, Ubuntu has the best text editor on this planet(or may be in this universe,but I’m not sure about that). Vow! gedit is best?, it is already installed on my Ubuntu. Yeah! you are right, gedit comes by default, not only with Ubuntu but also with other Linux based OS e.g Fedora,Linux Mint,Debian etc, which uses GNOME as a desktop environment. gedit comes with Gnome desktop package, it is free,open source and cross-platform application. The latest stable version is 2.30.3. it is a UTF compatible text editor,with simple and easy to use interface. 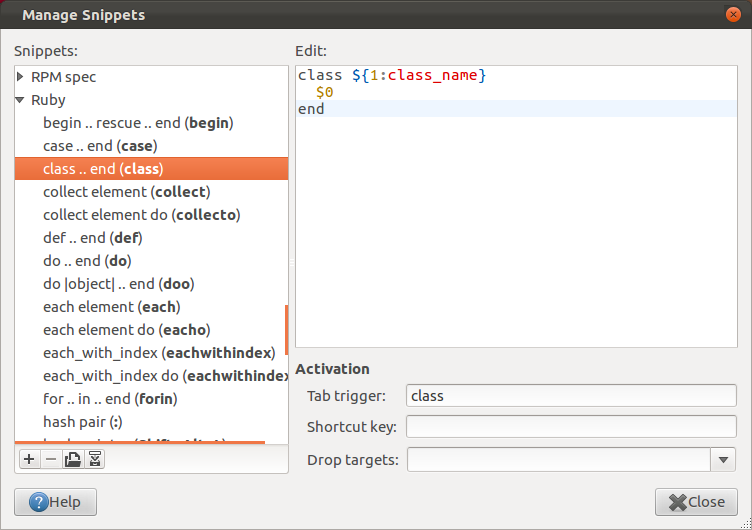 gedit is very flexible; so here is the one snapshot of gedit on my Ubuntu 10.10 desktop, after tweaking the gedit to look like TextMate. why gedit is the best text /coding /programming editor ? it is fast,light weight and very easy to use. That’s all ..if you think that, any other text editor is better, or whatever, express your thought through comments.